When we talk about pantry essentials, we refer to items that are part and parcel to making easy, fast, and tasty dishes from scratch. While you need the basics for flavor—salt, sugar, soy sauce, vinegar, and spices like black pepper—you also need enhancers for texture. A spoonful of butter on those pancakes, a generous pour of olive oil for that crispy sunny-side up, and a generous dollop of mayonnaise for, well, just about everything. Take a look at these dishes—both sweet and salty—that are rounded out by an underdog in the kitchen: Mayonnaise. Believe us, this ingredient is a must for every Filipino kitchen. Here's something that you've probably never done before: Use mayonnaise in place of butter when making grilled cheese sandwiches! Mayonnaise is oil-based, which means it's the perfect ingredient for getting crisp edges around your sandwich. Spread a generous amount of mayonnaise on the outer sides of your sliced bread before frying it on a non-stick cooking pan with a light drizzle of oil. The result: a crisp, golden-brown sandwich with all the rich and creamy flavors of cheese and mayo. 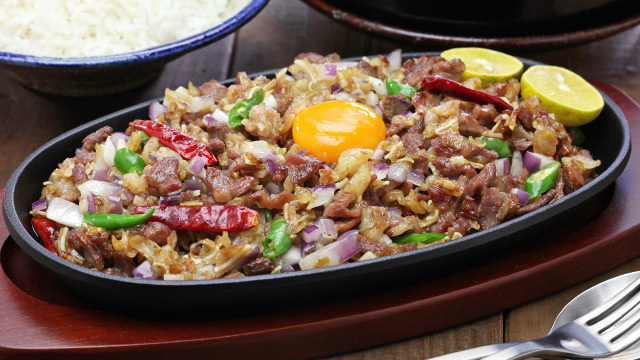 Who doesn't love indulging in sisig every now and then? Use this creamy condiment to pull together this Filipino classic in a snap. After sauteeing and frying all of the ingredients on a hot pan or a sizzling plate, add a dollop of mayonnaise to bind everything together and add a bit of shine and a hint of creaminess to the dish. Surprised? You shouldn’t be! Mayonnaise is made up of oils, eggs, and a blend of spices—in other words, it’s packed with all the best ingredients you need for baking. Many bakers say that adding a cup of mayo to chocolate cake batter will make for a soft, moist, and flavorful sponge. What would Christmas, New Year's Eve, family reunions, and all your kiddie birthday parties look like without a heaping bowl of macaroni salad on the table? Indulge in one of the most well-loved dishes with only a few ingredients: Cooked macaroni, Lady's Choice Real Mayonnaise, pickle relish, carrots, onions, pineapple tidbits, cheese, and shredded chicken. Mix it all together and you've got yourself a dish for both adults and kids alike. Dishes like these prove that mayo is a versatile ingredient that's more than just a sandwich condiment. Lady’s Choice Real Mayonnaise, in particular, has become a staple in Filipino kitchens, particularly during momentous occasions and all sorts of celebrations. Made with a rich blend of spices, oils, and eggs, Lady’s Choice Real Mayonnaise helps make sure the delicious food you make for your family are made even more special. Lady’s Choice Real Mayonnaise is available in leading groceries and supermarkets nationwide. To know more, follow Lady’s Choice on Facebook.